Welcome to Murray Life Magazine, of Murray, Kentucky and Calloway County, the premiere publication and information resource for Western Kentucky, the Kentucky Lake and Lake Barkley area, hosting articles of local events, dining guides, community interest, ratings and reviews, how-to's, community profiles, personalities, local histories and more! E﻿veryone has a call to their homeland. Whether it’s getting teary-eyed when bagpipes play at the annual highland festival or feeling the beat of Latin music played in local restaurants and shops, the pull towards one’s heritage is undeniable. Culture makes up a core part of the self. Changes in life culture, including geographical settings, can manifest themselves in interesting ways. The cultures in Murray, Kentucky, are worlds away from those in New York City. Though the two cities seem to be a far cry from a comparable combination, Jennifer Fairbanks is proof of the argument. Growing up in Murray, Fairbanks had a moderately suburbian, small town upbringing. She went to Murray High School and attended Murray State University, where she studied drawing with Dale Leys and painting with Bob Head. 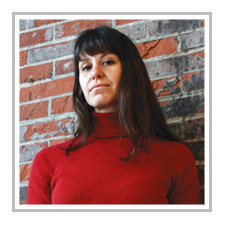 She also studied privately with Joy Thomas during her time in Murray. Once the multi-color fall foliage around town transitions into frost- and snow-covered trees, Murray begins its hibernation period. Suddenly, watching football on a 52-inch plasma television becomes much more appealing than going out and playing it; watching a movie at home sounds a whole lot better than fighting the bitter cold to venture to the theater to catch the latest flick. A roaring fire—or even a picture of one—can warm your spirit in ways no heater can. Families come together to laugh, share, be entertained, and entertain. The holidays are here. One task families of all sizes embark upon as Christmas approaches is to find a gift that the entire family will enjoy throughout the year. Technology and gadgets have long been a staple of the American Christmas experience. 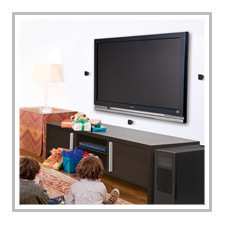 This year, you can take your high-tech thinking even farther and invest in something your family will use year ‘round: a home theater system. No one was prepared when the city of Murray faced the ice storm of 2009. Meteorologists are now predicting an even more severe winter this year. 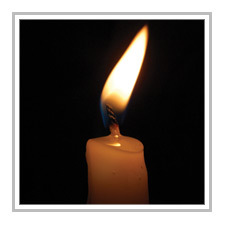 With these tips, we hope people will be better prepared if and when another power outage hits our town. 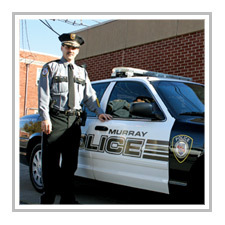 Murray, Kentucky, has been recognized in a variety of ways such as “One of the 100 Best Places for Raising Young People,” to “Playful City,” to “#1 Retirement Destination.” However, you couldn’t have any of these without Murray’s Police Department. They are on duty around the clock, during holidays and on weekends. When Theresa Bearden brought her dog to work one day two years ago, she had no idea what a difference she was about to make in one man's life. 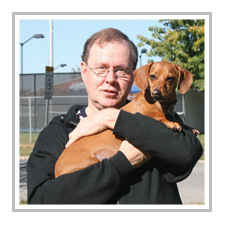 While Theresa was making deliveries to Western Baptist Hospital in Paducah for her employer, OfficeMax®, she would sometimes bring her one-year-old dachshund, Toby, inside the central receiving office so he would be warm and safe while she traveled to the various departments on her route. Toby was always a hit with hospital employees, but on one visit, Theresa noticed that the dog was making quite an impression on one person in particular—Wendell Alexander.